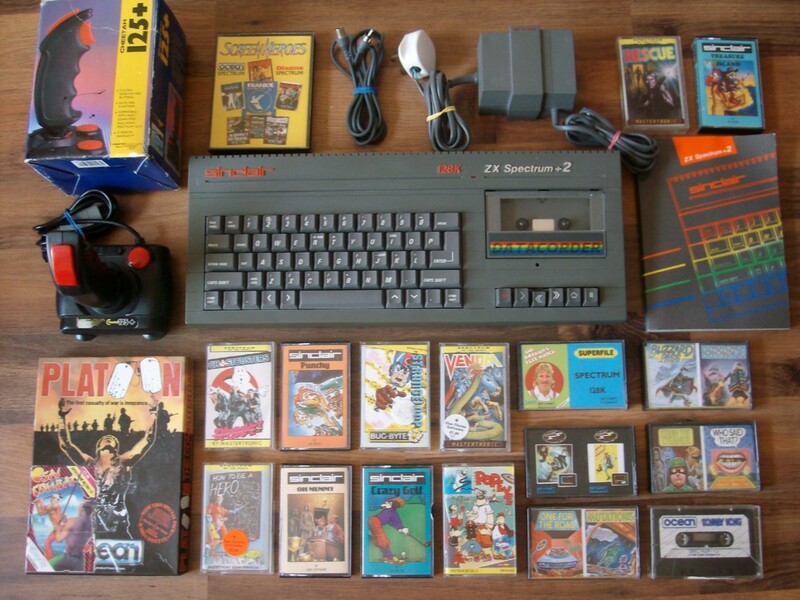 I still believe the Amstrad produced ZX Spectrum +2 to be an excellent choice for retro gamers. It's a cheap 128k Speccy you can connect to a monitor, won't set you back a fortune and comes in a pretty compact form. European residents can even grab one for the very good Buy It Now price of £34.99 via this very eBay link. The computer comes with all necessary bits to get it working, a boxed joystick, the manual and a selection of original games. These include the excellent Popeye and personal favorite Oh Mummy. No shipping to North America! Curses! It is such a great looking lot, and even comes with Ghostbusters, that I was finally ready to take the plunge! Well, next time, Gadget, next time. Hehe... Truth be said, I always have my mind for Sinclair computers that can be shipped to US and Canada adresses, but they aren't that common and rarely ship for decent prices.